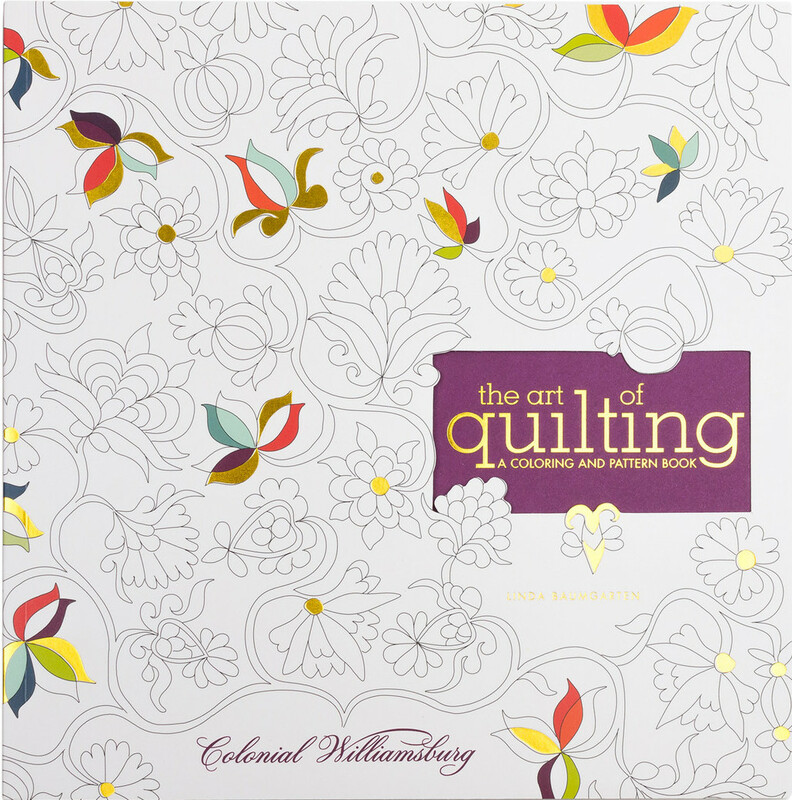 The Art of Quilting, a Pattern and Coloring Book. Williamsburg: Colonial Williamsburg Foundation, 2016. From the back cover... The designs contained in these pages are all taken from quilts in the extraordinary collections of the Colonial Williamsburg Foundation. The patterns can be colored or used as inspiration for quilts and other fiber arts. Both coloring and quiling tap into creativity within disciplines that are defined by lines, borders, and structure. Adding brilliant new colors to these designs breathes new life into these historic quilts and makes the past live again. Four Centuries of Quilts, The Colonial Williamsburg Collection with Kimberly Smith Ivey. Williamsburg and New Haven: Colonial Williamsburg Foundation and Yale University Press, 2014. From the cover... Quilts are among the most utilitarian of art objects, yet the best among them possess a formal beauty that rivals anything made on canvas. This landboark book, drawn from the world-renound collection of the Colonial Williamsburg Foundation, highlights the splendor and craft of quilts with more than three hundred superb color images and details. 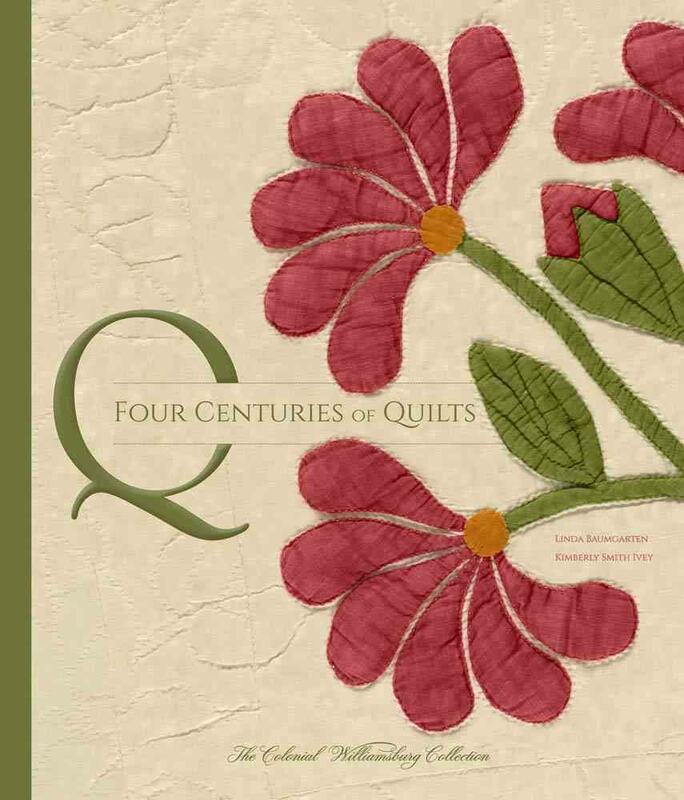 Fascinating essays by two noted scholars trace the evolution of quilting styles and trends as they relate to the social, political, and economic issues of their time. From the back cover... 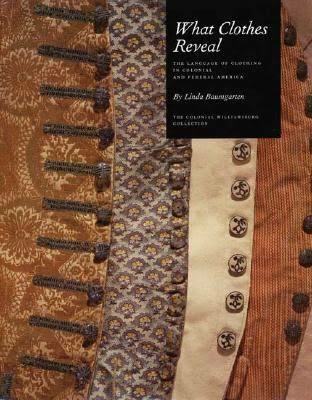 This book unveils the secrets of eighteenth-century garments in the collection of the Colonial Williamsburg Foundation. Experts and novices alike will enjoy the engaging presentation of text, period illustrations, and modern photography. Examining stitch marks, thread remnants, and creases, the authors solve the mysteries of how clothing was made, altered, and sometimes, even how it was laundered and stored. In the course of their investigation, they illuminate aspects of the manufacture and wearing of eighteenth-century clothing, from how wool was glazed (the textiles were folded and placed in a press) to who wore under drawers (Thomas Jefferson and George Washington did, but many men did not). What Clothes Reveal, The Language of Clothing in Colonial and Federal America. New Haven: Yale University Press, 2002. Winner of Costume Society of America’s Millia Davenport award for excellence in publication. Colonial Williamsburg has one of the outstanding period costume collections in the world. The 900 costumes and 2,400 accessories document the way Americans dressed during the eighteenth and early nineteenth centuries, and the European antecedents that influenced their clothes. Using the collection as a backdrop, this book helps people today understand more fully the lives of past Americans. A discussion of slave and work clothes highlights the complexity of outfits that convey status, occupation, and place. 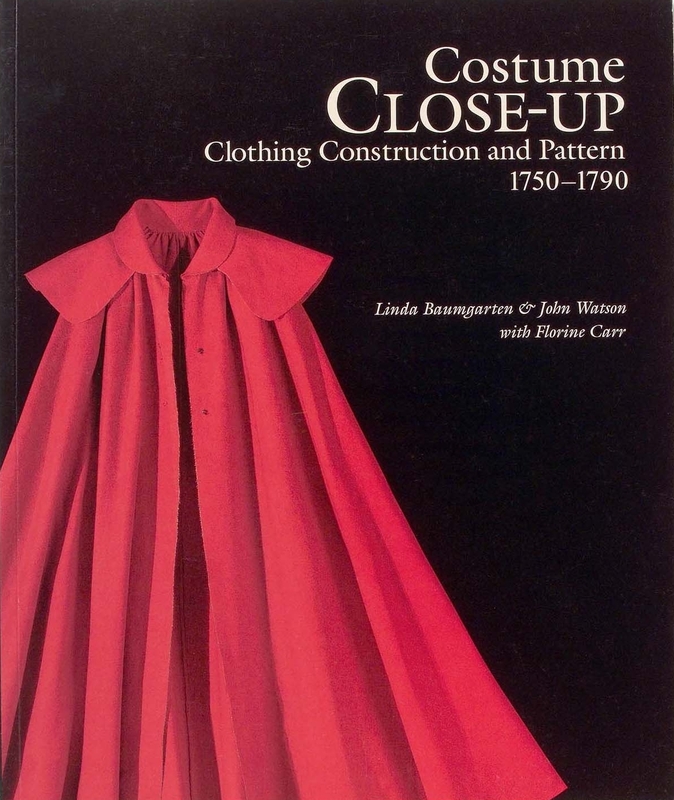 Other chapters demonstrate how clothing reflects life passages and interprets the myths and meanings of garments in British and American society. Informative and entertaining sidebars delve into details about individual garments and concepts such as clothing fossilization and whether people were really smaller back then. “Vase-Pattern Wholecloth Quilts in the Eighteenth-Century Quaker Community,” Uncoverings 36 (2015). “The Layered Look: Design in Eighteenth-Century Quilted Petticoats,” Dress 34 (2007), the journal of the Costume Society of America. “Nineteenth Century Children’s Costumes in Tasha Tudor’s Collection” with Jan Gilliam, Antiques, April, 1998. “Leather Stockings and Hunting Shirts” in American Material Culture: The Shape of the Field, Ann Smart Martin and J. Ritchie Garrison, eds. Henry Francis duPont Winterthur Museum and Knoxville: University of Tennessee Press, 1997. “Oriental Export Textiles at Colonial Williamsburg” in The Conservation of 18th-Century Painted Silk Dress, Chris Paulocik and Sean Flaherty, eds., New York: Costume Institute, Metropolitan Museum of Art, 1995. “Protective Covers for Furniture and Its Contents” American Furniture 1993, Luke Beckerdite, ed., Chipstone Foundation Journal, University Press of New England, 1993. “Jefferson’s Clothing,” Antiques 144: 1 (July, 1993). “Under Waistcoats and Drawers,” Dress 19 (1992). “Plains, Plaid and Cotton: Woolens for Slave Clothing,” Ars Textrina 15 (1991). “Dolls and Doll Clothing at Colonial Williamsburg,” Antiques 140: 1 (July, 1991). “Curtains, Covers and Cases: Upholstery Documents at Colonial Williamsburg,” in Upholstery Conservation, Marc Williams, et al, eds., East Kingston, New Hampshire: American Conservation Consortium, 1990. 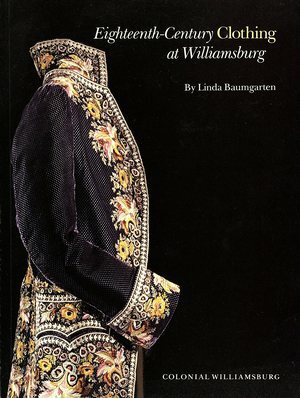 “Textiles in the Eighteenth Century,” “Bed Hangings,” and “Window Curtains” in Williamsburg Reproductions, Williamsburg: CWF, 1989. “ ‘Clothes for the People’: Slave Clothing in Early Virginia,” Journal of Early Southern Decorative Arts 15 (November, 1988). “Costumes and Textiles in the Collection of Cora Ginsburg,” Antiques 134: 2 (August, 1988). “Welcome Little Stranger: Fashions of Motherhood,” Colonial Williamsburg Journal (Winter, 1987-1988). “The Textile Trade in Boston, 1650–1700” in Arts of the Anglo-American Community in the Seventeenth Century, Ian M. G. Quimby, ed. 1974 Winterthur Conference Report. Carlottesville: University Press of Virginia, 1975.